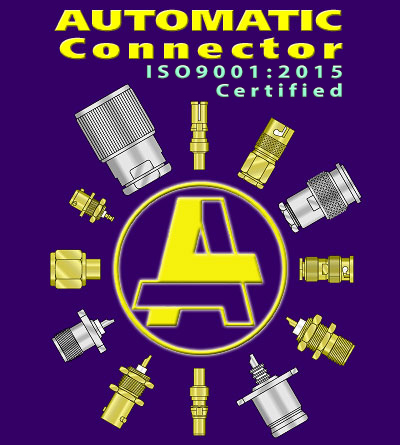 With one of the world's broadest product lines of coaxial connectors, contacts, accessories, and switches, Automatic Connector is your best source for standard and custom RF connectors. Click here for descriptions and drawings of our connector series, including hard-to-find "Legacy" types. Our useful and informative guide to connector terminology is available for download (click on the "catalogs" button above), or can be viewed online by clicking here.